Now that we can finally enjoy time outside, I've been focusing on sprucing up our outdoor accessories. 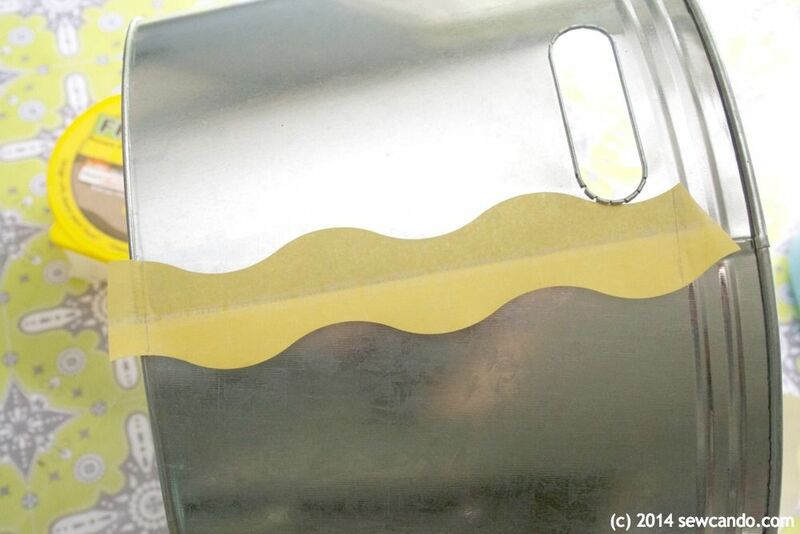 Today I'm sharing my DIY Party Tub how-to. 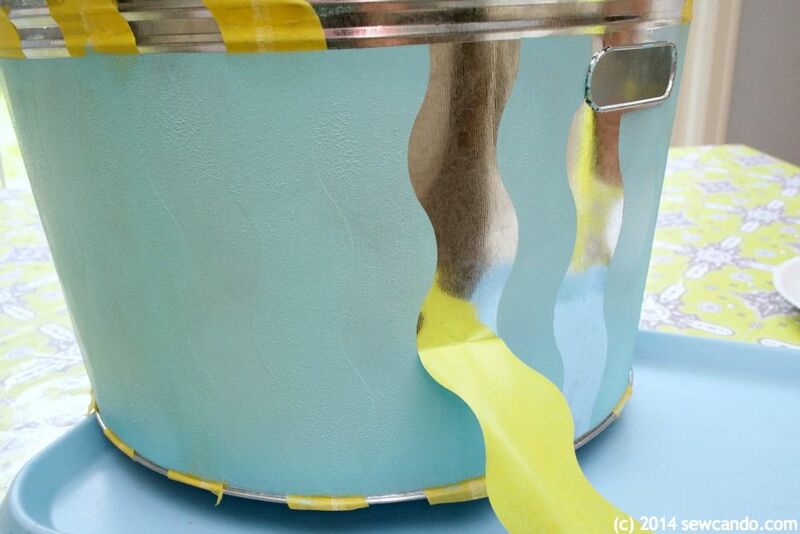 Turn a plain galvanized metal container into a custom party tub using a little help from FrogTape® Shape Tape™. I have to confess, I used to be super anxious about doing projects with paint. Especially on tricky shapes like this flared tub. I always worried that I'd goof up my spacing or end up with paint spreading into spots I don't want it, but not this time! 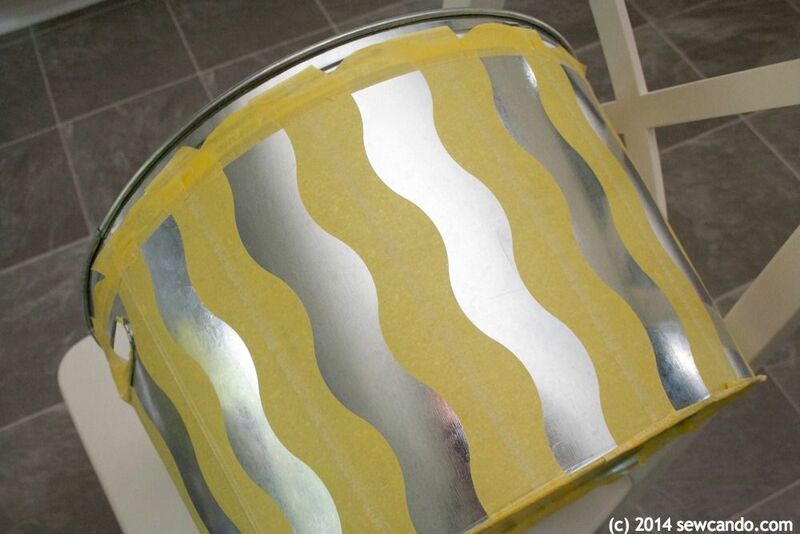 FrogTape® gave me a confidence boost because it's the only painter's tape with PaintBlock® Technology. PaintBlock® is a super-absorbent polymer which reacts with latex paint and instantly gels to form a micro-barrier that seals the edges of the tape, preventing paint bleed. And it's ready to go in a fun designer shape - no fancy cutting required. It sounded ideal, so I was willing to give it a go. Start by cleaning the surface with a clean, soft cloth dipped in a little white vinegar. 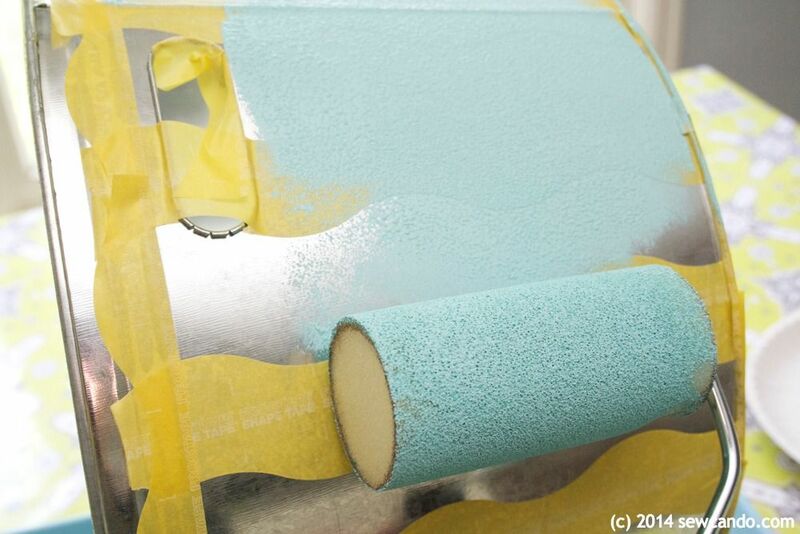 This will help remove any surface oils so the tape & paint will adhere to the galvanized surface. 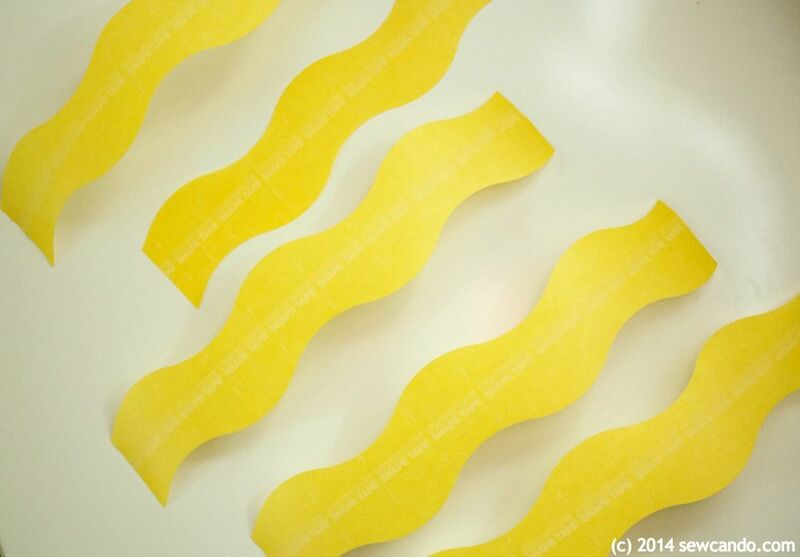 Decide on a layout pattern using the FrogTape® Shape Tape™. I went with vertical wavy lines. It was super easy to get them even - after I cut the first piece I used it as my template to cut all the others so they'd be identical. I started applying the tape at the tub's side seam. The tape has backing that splits in half so I removed the top half and was able to make sure it was perfectly lined up. Then I removed the bottom half of the backing and pressed down. It's important to really smooth the tape down around it's edges so it gets a good seal. I repeated this with all the remaining pieces. It wasn't hard to eyeball how far apart to make the waves and still get them pretty uniform. 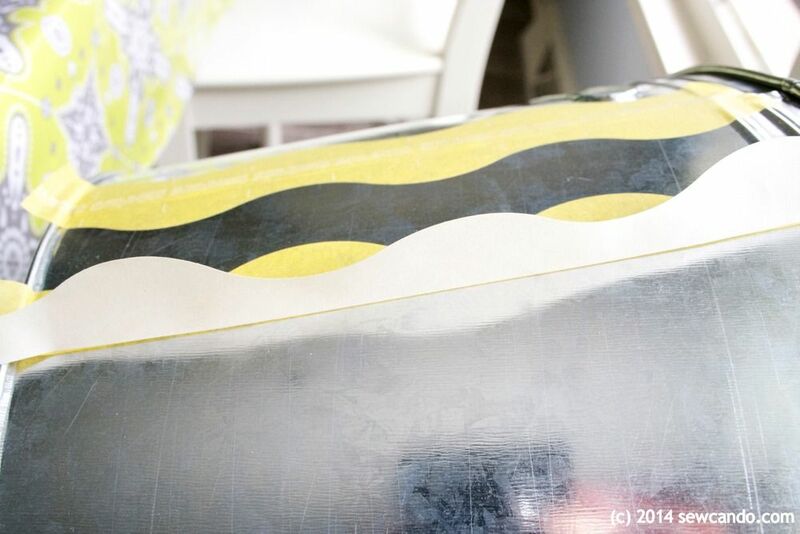 I wanted to keep the wavy stripes within the tub's ridges at the top and bottom, so I cut another long piece of tape and then cut it again along the split in the middle of the backing and used those straight edges to tape off the base and top rims. 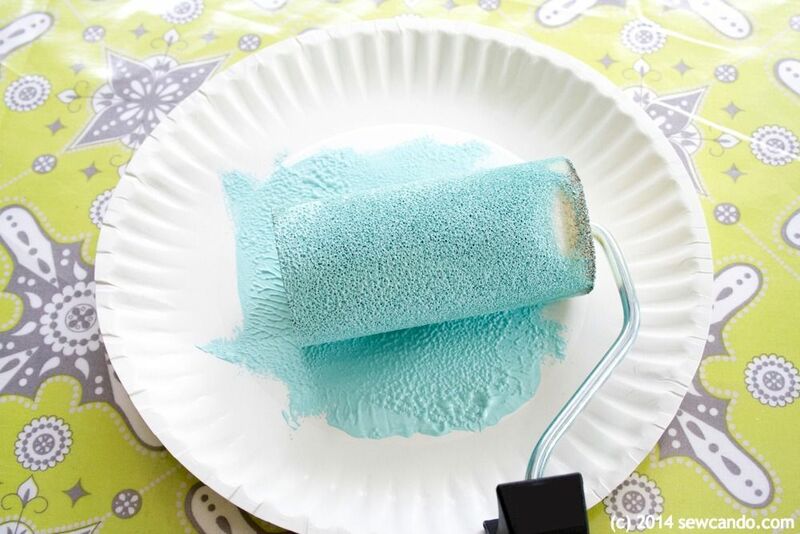 I spread some of my paint onto a paper plate & covered my foam roller. I used acrylic paint since it's water-based like latex. This meant it would work well with the tape's PaintBlock® Technology, but will adhere better to the galvanized surface. I rolled the paint all over my tub until it had a nice even coat. Then I carefully peeled off the paint. This was my real moment of truth. The FrogTape® Shape Tape™ totally worked! Every wave was crisp and clean - no bleed through anywhere. I let it dry and then tried out our pretty new tub. 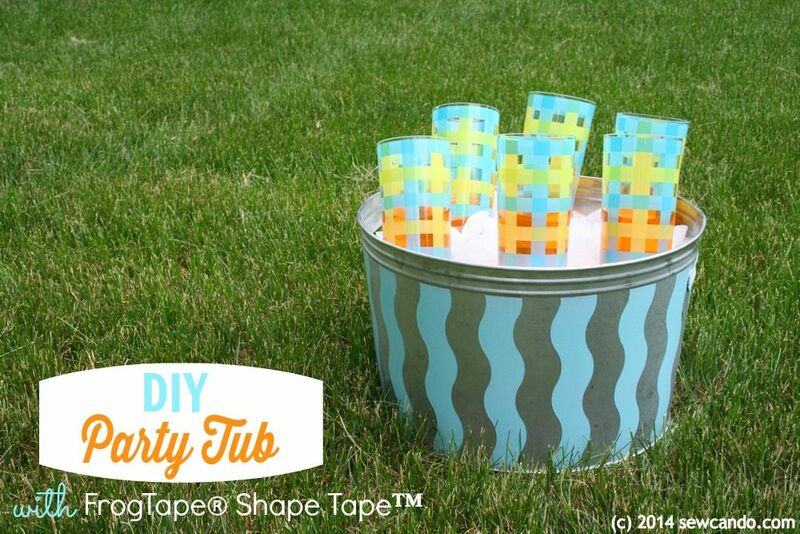 It's great for chilling drinks and can be used for holding toys or towels too. I'd recommend hitting it up with a coat or two of clear coat spray to help protect the paint if it's going to see some regular wear from moving it around, or a lot of condensation from holding ice. 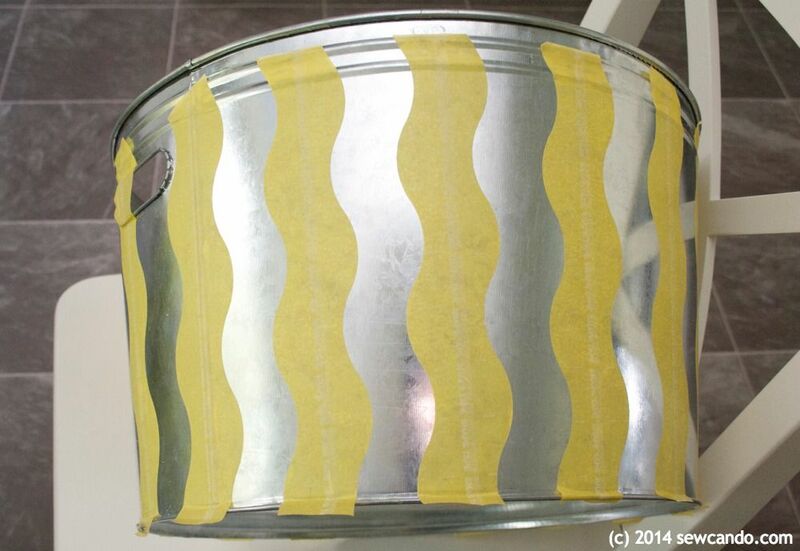 Want more fun project ideas using FrogTape®? 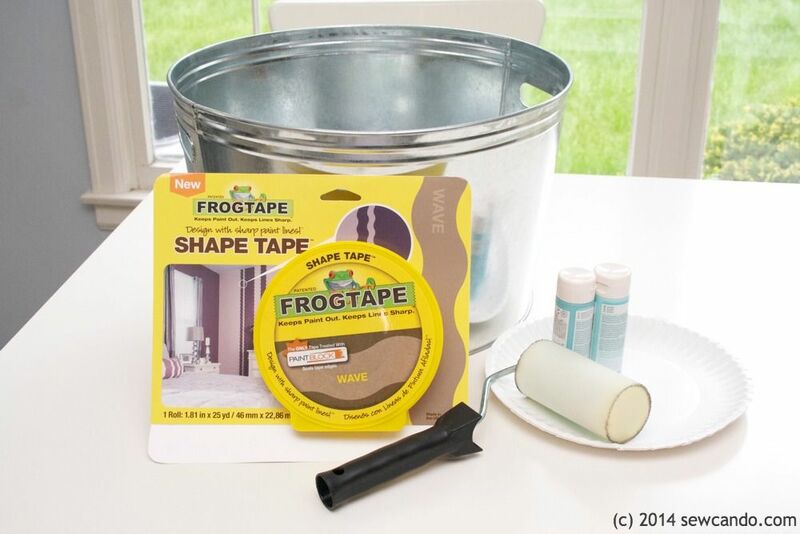 Follow FrogTape® on Twitter and share your own ideas on Twitter & Pinterest with #FrogTape hashtag! Oh I love how this turned out!! Your tub is really cute. I want to try out this tape! I love this idea. I hope I can make some for the garden party hour at my son's wedding. That would be the perfect place for this! What a great idea. I have one that needs some fixing. This would work great. Thanks so much for sharing with Adorned From Above's Link Party. What a great idea. 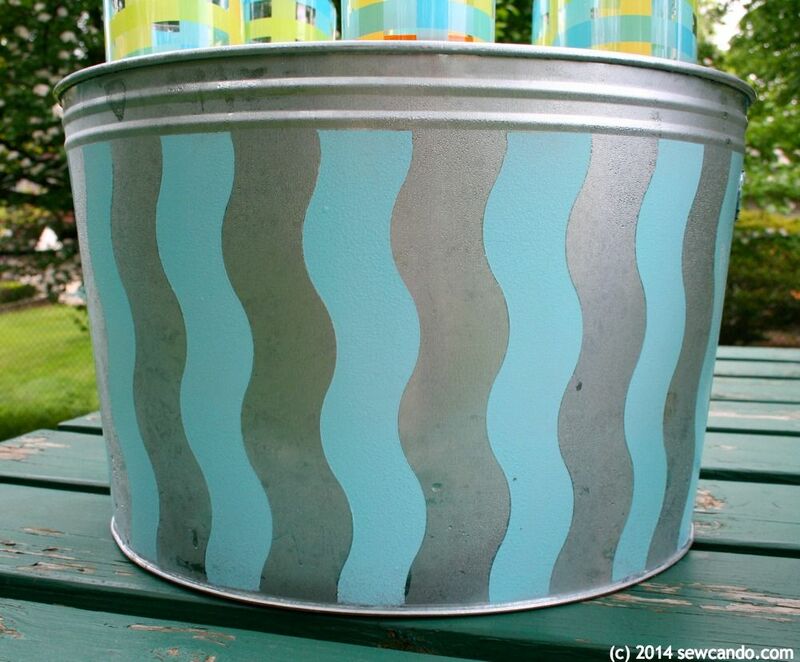 I love using galvanized tubs for parties but this makes them so much more festive. Great idea. I love using galvanized tubs for parties but this makes them much more festive. It really does - it's so easy to customize them and make an inexpensive tub look a lot fancier. oh I love that tape!! I need to get a roll! pinned! This is so cute and looks easy to do. It really is - I was surprised at how fast it was to make. This is so super cute! I can think of about a million different uses for an adorable tub like this! 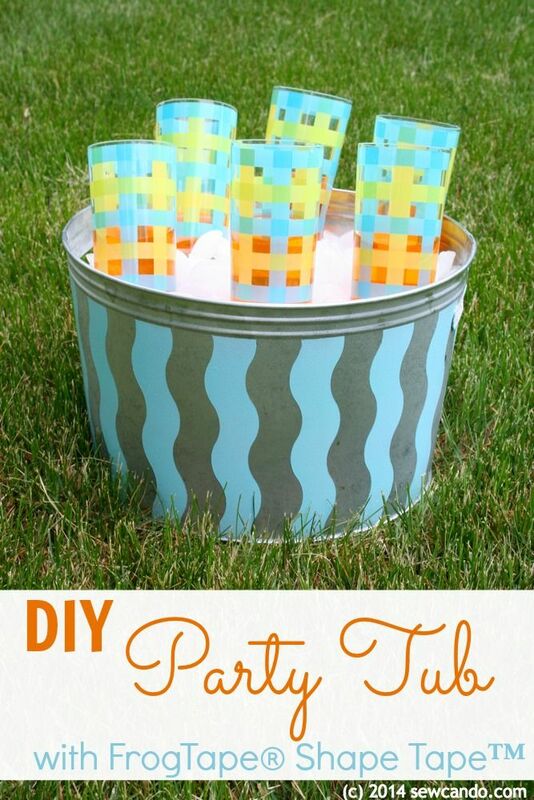 That's so cute and perfect for summer entertaining! Love the waves! This is perfect for summer! So cute! So cute! I have some of that Shape Tape ~ I think I'll make one of these for summer get togethers. Great idea! Very cute idea- And I even have one of those tubs!!! Whoo-hoo, a weekend project! Awesome Jenny - would love to see yours when you make it. Too cute, and perfect for summer! I featured this on my blog today and I'm just stopping by to pin it! Thanks so much for sharing at Creativity Unleashed! Thanks Carol and you're right - it totally gives a plain tub a new life!